Don’t go to the Heineken Experience. They promise an interactive experience that will take you on an exciting sneak peek through the wild world of one of World’s most popular pilsners. The only exciting part for me was when I saw the exit. I really did not find it worth a visit or the money … It may be because I am not a big fan of the beer (much prefer Grolsch), but I wasn’t interested in the things they were offering. And there are better ways to spend €18 and two hours of your time while in Amsterdam. Don’t waste time in the queue at Anne Frank House – make sure you pre book tickets. The museum itself is a must, so don’t skip that. Don’t confuse a koffie shop with a coffee shop. Don’t be too afraid of the Red Light District, for the most part the area looks pretty normal and it’s actually in a really nice part of the Old Town surrounded by canals, canal houses and churches and coffee shops. It’s completely understandable that you might hesitate to walk through but since this is the the oldest and most historic neighborhood it’s full of history. Does that justify it? And while we are there don’t take photos of the prostitutes. Stare if you have to, but if they see you taking photos they will chase you down the street or throw a bucket with pee at you (if you are lucky!) Not worth it. Don’t take any drugs back to the homeland. It’s not worth it and you will get caught. 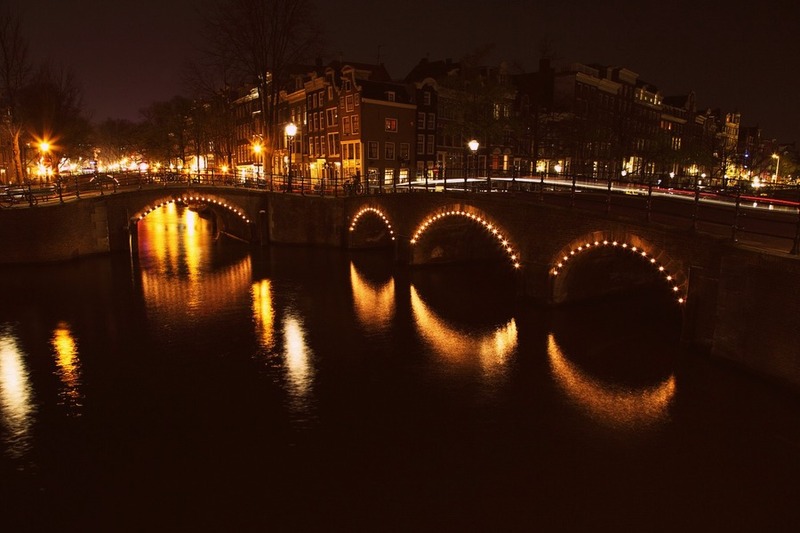 See it as an excuse to pay another visit to Amsterdam. And don’t smoke on your first day … I know you all do it, but just enjoy the city for a bit. Walking on bike paths is a big no no, they are clearly labelled. It drives bike riders crazy – if they’re in a good mood they will ring their bell at you, but sometimes you’ll have to dive out of their way. Other way round it’s the same: you don’t cycle on the side walk. It’s actually more helpful than these “what to do …”-posts. This was such a fun read! All of your travels have me yearning for new adventures! Lovely read, you have such an entertaining style! I’m all too familiar with the ‘don’t walk on bike paths’ one! I love how you take different aproach to any topic, including dont’s. You should make these whenever possible, not yust because they’re fun to read, but also because they are (logically) very useful. Great tips – partcularly the bike paths – I think I almost got run over 100 times! Also I would add Don’t just stick to the big name museums, there are some great small gems like The Handbag Museum and Tatoo museum that are worth a look. hihi I live in the Netherlands so this was pretty funny to read! Not walking on bike paths is basically a rule in every (big) city here, because it’s just really annoying hahaha! We’re loving your tips! And straight forward insight. We’ve just done this: http://wp.me/p5kKME-1K and we’re super keen to completely flip the switch and go on our our steed to Amsterdam in 2015. We’re checking out AirBnb and Cs sites etc. Haha! I love this. I am planning to go in jan so will take your tips on board! Love this post! More people should do these, I’d have wasted my pennies on the Heineken museum, when I should save them for the pannekoek! Really interesting tips! I’ve heard about the photo thing and the Heineken museum not being great but the Anne Frank tip is something I’ll definitely do in advance now. Thanks!